PREMISE:          European YACEG (?) 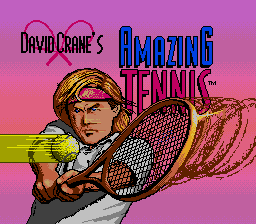 featuring tennis great David Crane. to go and make a liar out of me. Avoid at all costs! AMAZING!!! No, not really! Trash. 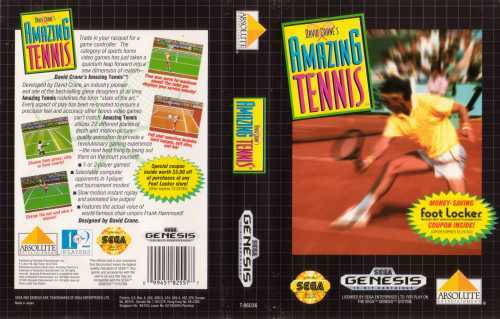 One of the better Tennis games on the genesis. Forget about ATP and Wimbledon they are bad. This is way better than both. Although it doesn't contain many real names it blows ATP and Wimbledon away. 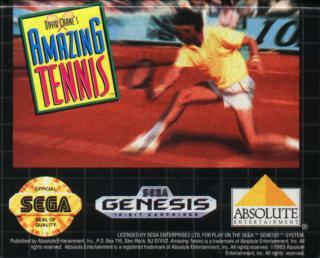 Sega hardly ever put out any good games. 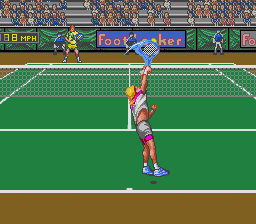 I wasn't even really impressed with Ea's title in tennis.